Panta rhei is a simplified version of the famous greek philosopher Heraclitus' teachings. It basically means, everything flows. And everything in the Universe is indeed continually on the move, spiralling and shifting through space. 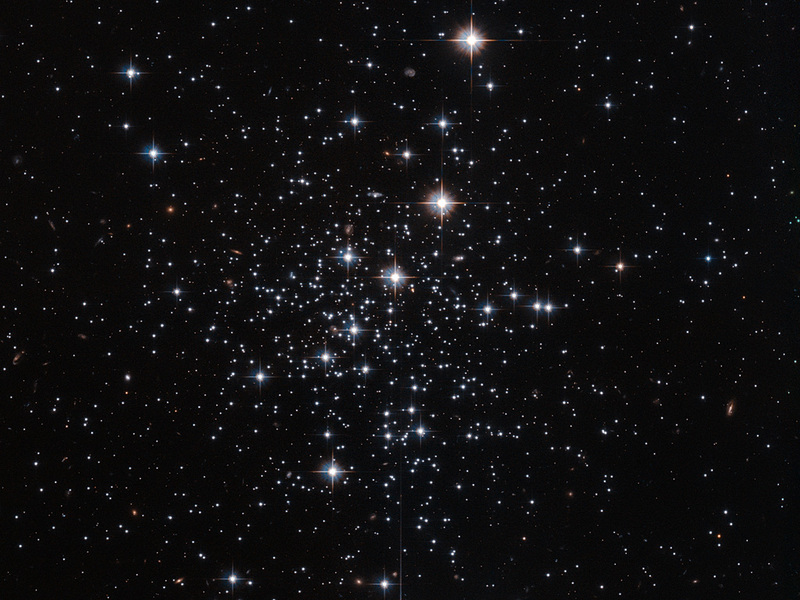 Some cosmic objects move a little further than others — take the subject of this NASA/ESA Hubble Space Telescope image, a globular cluster of stars known as Palomar 12. 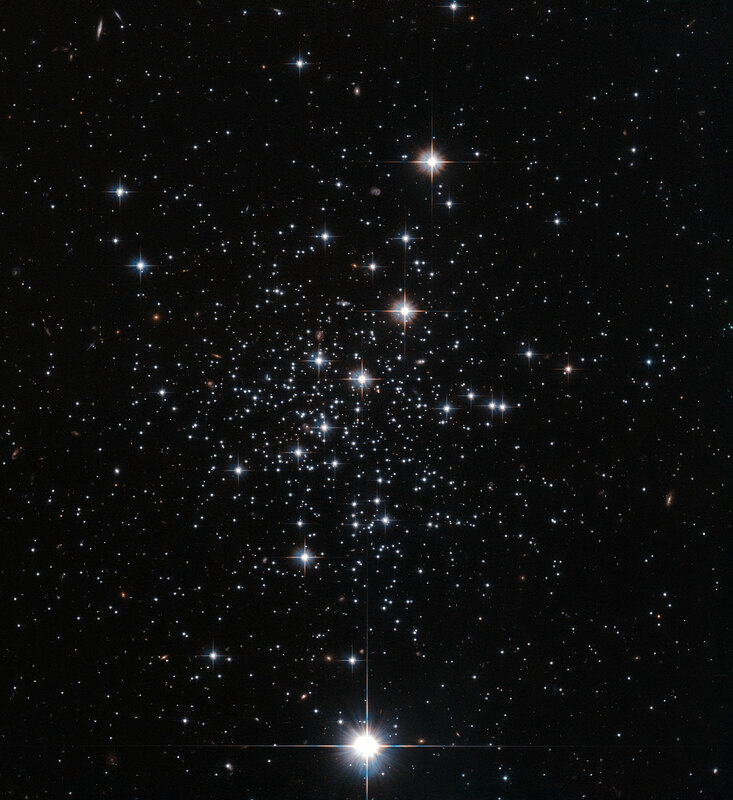 Although it currently lies on the outskirts of the Milky Way’s halo, Palomar 12 was not born here. 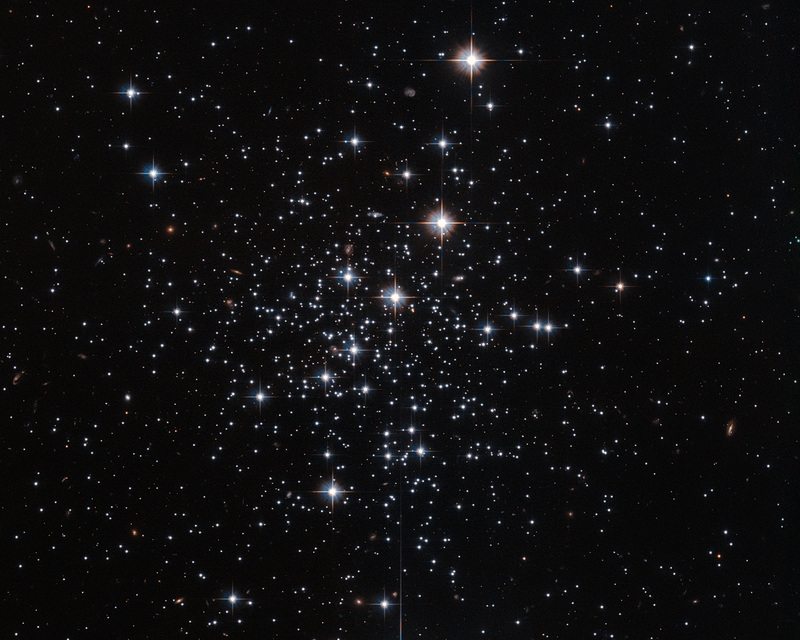 When astronomers first studied this cluster, they were puzzled by its strangely young age when compared to the other clusters in the galaxy. It appeared to be around 30% younger than other Milky Way globulars. Surely if it had been born within our galaxy, it would have sprung to life at a similar time to its cluster companions? A bit more digging revealed that Palomar 12 was actually ripped from its initial home, the Sagittarius Dwarf Elliptical galaxy, around 1.7 billion years ago via tidal interactions between its former home and our galaxy. The dwarf galaxy that Palomar 12 once called home is a satellite galaxy to ours, and closely orbits around us — even occasionally passing through the plane of our galaxy. In fact, it is being slowly torn apart and consumed by the Milky Way. 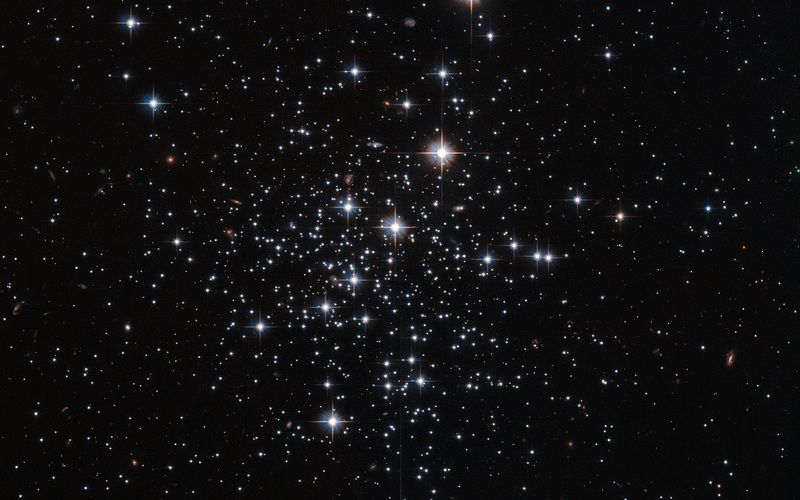 The sparkling stars in this picture were imaged by Hubble’s Advanced Camera for Surveys. Position (Dec): -21° 15' 5.98"